We assist you in optimizing your ERP system with cloud roadmaps and SAP cloud applications. SAP S/4HANA Cloud (Public Cloud) is a complete ERP solution that comes with best practices for core business processes in finance, sourcing, procurement, manufacturing, sales, supply chain, and project management. These best practices form the digital core of the intelligent enterprise, where additional SAP products can be easily connected to provide your desired functional scope. The intuitive SAP Fiori user interface reduces training requirements, allows fast user adoption, and proactively guides users for business tasks. The digital assistant SAP CoPilot – built on artificial intelligence (AI) and machine learning (ML) technology – enables users to interact with SAP applications in natural language and via chat functions. It performs transactions across SAP solutions without leaving your business context. Built-in analytics capabilities and machine learning drive actionable insights for faster decisions. SAP S/4HANA Cloud connects subsidiaries to an existing on-premise system and allows you to run intercompany scenarios via a two-tier landscape and easily integrate financials. Furthermore, you only pay for what you use as part of a subscription-based model. There are no upfront costs or initial investments. Most importantly, SaaS and cloud-enabled ERP is a disrupter as businesses of all sizes want to purchase it because it is easily configured, updated as needed for all customers, and readily available anywhere for most business types. Can Your Current ERP System Compete in the Digital Age? Can your ERP system support fast innovation and increase business agility? Are you sure that your headquarters is tightly aligned with your subsidiary network? Do you have the functionality to eliminate repetitive, manual tasks and make decisions based on business patterns? Can you achieve a quick return on investment (ROI) on your ERP system? Does your ERP system ensure governance and compliance with local legal requirements? And what about a new ERP system? Is deployment, configuration and maintenance cost-efficient enough to reduce your total cost of ownership (TCO)? You do not agree on all questions? Then SAP S/4HANA Cloud is worth a look. SAP S/4HANA Cloud provides all functionalities to let you prosper in the digital era today and in the future. Ensure your company evolves with the business landscape and gains the ability to innovate. You can scale up cloud capacity as needed and seamlessly integrate the technology with existing SAP and non-SAP environments. Customizing your system has minimal impact on live operations. We help you develop a subsidiary strategy for unified ERP throughout all companies and divisions within your organization. Our two-tier integration programs handle the differing challenges at corporate and subsidiary level. We reduce complexity by providing best practices for implementation across your entire enterprise. In this way, you go live quickly and achieve a faster ROI. You also benefit from closer alignment of your corporation and subsidiaries as a result of a standardized cloud platform and optimized business processes. Built-in machine learning and analytics functions allow you to automate key processes, such as invoicing. You gain transparency over all your business processes and can make decisions based on predictive suggestions. This enables you to identify areas for optimization and streamline core business processes where you see fit. Achieve faster time to value with standardized best-practice content for all major business functions. The intuitive user interface enables you to make decisions more quickly. Ready-to-use functions and machine learning mean you can act as quick as you think. SAP S/4HANA Cloud comprises built-in compliance with tax and accounting regulations and covers different regional requirements. Disaster recovery ensures your data is always safe. Intuitive dashboards make it easy to control identity and access governance. We assist you with going live in a matter of weeks – minimizing project and implementation costs and delivering a quick time to value. There are no upfront fees and you only pay for what you use. In this way, you ensure that your ERP system is adding value to your business rather than increasing costs. 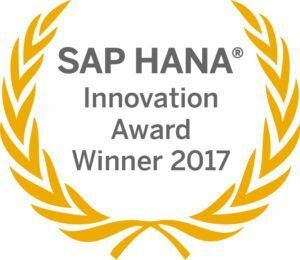 Speed up innovations with SAP S/4HANA Cloud. SAP provides quarterly updates with new line-of-business capabilities to ensure your enterprise always stays ahead of the competition and can concentrate on your core business rather than maintaining and updating your system. At itelligence, we have worked with businesses from a wide variety of sectors and understand the challenges facing your enterprise. We have an incredibly close relationship with SAP and have worked with them for nearly 30 years. More than 10 years of Cloud ERP expertise as well as our deep understanding of SAP technology and different industries ensure that our customers always get a first-class service. itelligence has more than ten years’ experience in delivering Cloud ERP to its customers. Our customers are able to go live quickly thanks to our standardized delivery model developed for implementation of cloud ERP software. We integrate other SAP solutions into SAP S/4HANA Cloud and support you with managing hybrid IT landscapes. Furthermore, we are an all-in-one provider for SAP consulting, cloud applications, managed services, and more. We are S/4HANA Cloud certified and operate global S/4HANA Cloud Delivery Centers. itelligence has many years of experience in numerous sectors helping businesses of all sizes with cloud strategies and implementing cloud ERP. We work closely with you to analyze the needs of your business and define a suitable cloud roadmap and strategy. With our special “fit2standard” approach, we optimize your core processes to ensure that they can work with the standard best practice design. In doing so, we accelerate the implementation process considerably and simplify your processes which makes support easier in the long term. You profit from regular innovations and can concentrate on new topics. And, you are not limited to just SAP S/4HANA Cloud. We can also offer the SAP Cloud ERP product SAP BusinessByDesign, which is SAP’s comprehensive cloud ERP suite. And if the outcome of your analysis is that the on-premise version of SAP S/4HANA is the right ERP for you, we can support you with this too. In this way, you receive the right ERP system to meet the requirements of your company. Learn how SAP S/4HANA Cloud is taking ERP into the digital age and how you can start your SAP S/4HANA Cloud journey. From specific line-of-business functionality to an enterprise-wide digital core, SAP S/4HANA Cloud provides a broad set of end-to-end capabilities. Are you searching for answers or would like to receive more information on SAP S/4HANA Cloud or cloud-based ERP? Do you wish a more detailed advice from our expert or like to book one of our Cloud ERP workshops?